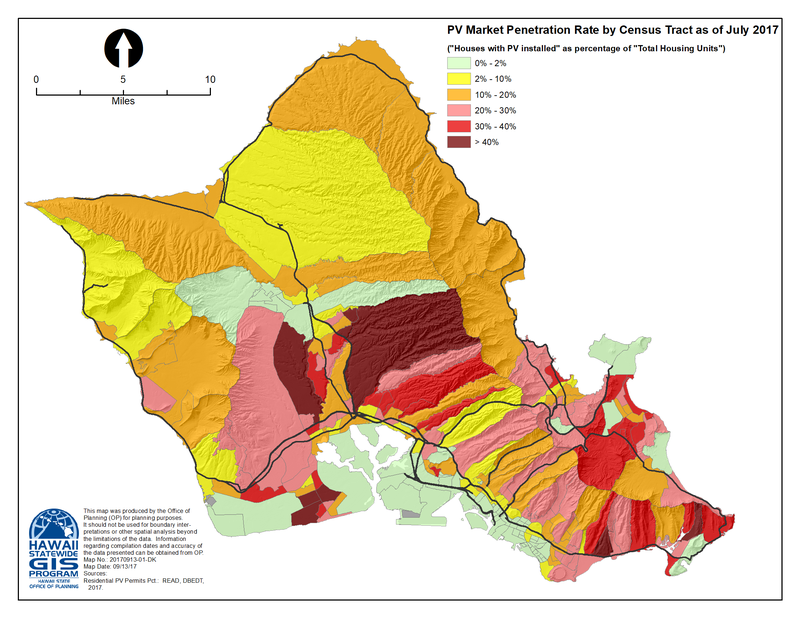 This statistical report was prepared to fill the need of learning detailed solar PV activities in Hawaii. The building permit has served as a useful tool in monitoring solar projects occurring in the area as the building permit is a prerequisite to install solar PV system. This report analyzed building permits issued in Honolulu County from January 2000 to June 2017. The first section presents that the cumulated number of building permits issued for PV installation in Honolulu County reached 56,655 by June 2017, and over 2.1 billion dollars were spent for PV installation. Removing double counts of PV permits issued for the same house, the number of housing units with rooftop PV was estimated at 48,475 in section two. Residential rooftop PV market penetration rate was estimated at 14.0 percent when all housing units were considered as the potential market and 19.4 percent when single-family houses and townhouses, where rooftop PV can be installed, as the potential market. PV permits and the estimated number of housing units with rooftop PV were aggregated to over 200 census tract areas in section three to calculate area-specific PV market penetration rates, which were presented in tables and heat-map. It was also shown that the areas with higher owner-occupancy rate, higher share of single-family house, higher share of married-couple family households, and higher household income were associated with higher PV installation rates.